DNA does not solve criminal cases—people do. Investigators must document every action, photograph every item of evidence, and create a complete case file that can be used to convict the guilty and exonerate the innocent. Each chapter begins with an overview of the felony investigated in the case study and highlights a key area of crime scene investigation. You will then use the case studies to walk through the investigative process and learn by example to create accurate case files. 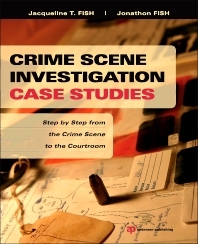 Learn crime scene investigation through original case studies that show you how to process and document a criminal investigation from first response to sending a report to the prosecutor’s office. Get up to speed on the state-of-the-art investigative techniques employed in the cases. Practice your investigative and report writing skills in the "Your Turn" chapter. Develop your critical thinking skills with questions that explore the nature of the case, the conclusions drawn, and alternative outcomes. Undergraduate Criminal Justice programs with courses in crime scene investigation and criminal investigation. Police training academies. 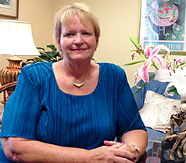 Jacqueline T. Fish is the Vice President for Academic Affairs at Charleston Southern University. A former crime scene investigator and Lieutenant in the Knox County, Tennessee, Sherriff’s Department, Dr. Fish was also project manager of the National Forensic Academy and worked with the Louisiana State University’s National Center for Biomedical Research and Training to develop Advanced Forensics Investigations for Hazardous Environments. Jonathon Fish teaches in the Department of Criminal Justice at The Citadel: The Military University of South Carolina. teaches in the Department of Criminal Justice at The Citadel: The Military University of South Carolina.